Local cutters want the government to scrap the tender system in allocating diamonds, saying some companies are left with no gems if they lose during the bidding. 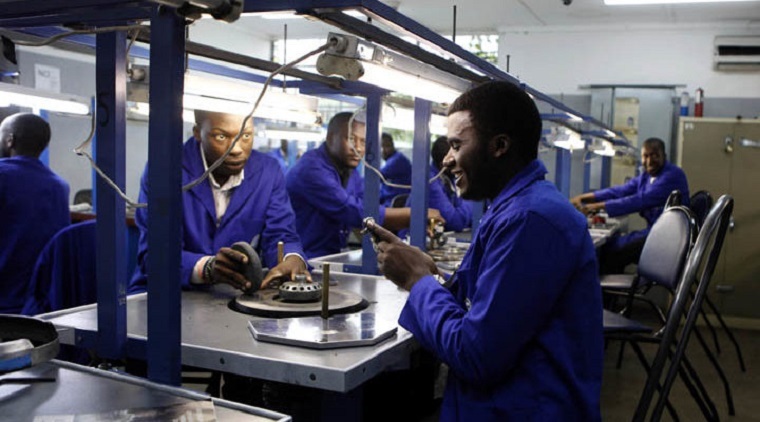 In 2014, Zimbabwe said it would reserve 10 percent of its annual diamond production for the local industry to help grow its value addition and beneficiation services. Local companies have to tender for the gems. It licensed 17 diamond cutting and polishing firms in 2008 at the height of the country’s diamond rush. The number grew to 28 by 2014 but 12 only remain operational according to the association of diamond cutters. “The issue of the tender system (is) a negative factor. Subjecting local companies to buying diamonds through a tender system does not encourage beneficiation because if one factory wins the whole parcel then that means other factories won’t be working for that particular month,” Diamond Beneficiation Association of Zimbabwe (DBAZ) chairman Richard Mvududu said. Mvududu said the mining industry urgently requires a comprehensive mines and minerals policy for “a conducive environment and a level playing field that encourages investment into the local beneficiation of Zimbabwe diamonds”. “We are still cutting and polishing though not at the level we want to. We have had challenges in the past and we continue to have them because the industry is still at infancy,” he said.